law school class | Quo Vadis? By all means, search the catalog to find the precise study guide you seek. But most of you may not know the exact title or author of a study guide or treatise that you think might be helpful. Should that be the case, use the Law Library’s guide to Guides by Subject. This guide lists over 60 subject areas. By expanding the subject area of your choosing, you will see links to subject-specific resources, which can include study guides and treatises both in the law library and available online, and links to other guides. Some 1Ls deprioritize LAWR in favor of other core classes, thinking “Hey, it’s fewer credit hours per semester.” These students couldn’t be more wrong, however: your LAWR class may be one of the most important classes you take in law school. That’s the takeaway from a recent panel discussion hosted by Sarah Ricks, Clinical Professor of Law and Co-Director of the Law School’s Pro Bono Research Project. The panelists—3 recent graduates and 1 current 4L, a JD/MBA candidate—spoke to current students about how their LAWR classwork will translate in the real world, including the job hunt. Although they are newer lawyers, the panelists collectively had worked in federal and state clerkships, internships, and jobs in mid- and large-sized law firms. Each speaker attributed their individual success to the skills that they acquired in their legal writing courses. Don’t search aimlessly in Westlaw or Lexis: learn about practice-area and subject-specific treatises. These secondary sources contain the law you need in your practice area and can save you time! Learn how to research in print. In practice, searching online can drive up your client’s costs, and most clients aren’t willing to pay for expensive research. One panelist admitted that even big firm lawyers often turn to books for answers because, when billing hours, every minute matters. As a student you have almost limitless access to many legal databases: take the time to see what they offer! Database companies want you to get comfortable with their systems in the hopes that you’ll stick with that service in practice. But don’t just learn each system’s resources; learn what tools they make available that can make you a more efficient researcher. When you’re given a research assignment by a senior attorney, that person most often will not know the answer and will be relying entirely on you. You must know how to find the correct answer and convey your findings effectively. And unlike in law school, you will not be reminded on a regular basis that you have an assignment due. Take writing-intensive classes. While you may have many opportunities to learn substantive law in practice, school is the best place to hone your writing skills: ask questions, get feedback, and practice, practice, practice. Take practicums that allow you to develop your skills. Most of the panelists mentioned that they had practiced and honed LAWR skills in clinics and competitions. Specifically, the ability to craft correct and well-supported arguments and communicate them effectively will distinguish you from an applicant pool. And as one panelist pointed out, “writing is only one aspect of communication.” You need to be able to verbalize persuasively and concisely. PROOFREAD. This may seem like a no-brainer, but it is easy to skip when you’re under pressure. Make sure all punctuation is in place; make sure all citations are included; make sure you say what you need to say and cut everything else. One panelist mentioned that when he interviewed for his first internship, he had one bad grade on his record, but strong 1L LAWR writing samples. The interviewing judge told him that, had he had perfect grades and a sub-par writing sample, he would not have gotten the internship. The panelists reiterated that now is the time to practice managing your time. As students, you have 2-3 months to study an issue and write a concise research memo. In this time, you’ll receive feedback so that you can improve. Heed that advice and, where possible, seek out more. In practice, you may have as little as 30 minutes to write a memo for a senior attorney or judge. When time is tight, knowing where to look for the answer will give you more time to read and process the information that you’re finding. This is critical. Straight talk: your workload will probably not decrease from school to practice. Sure, now it seems like you have an overwhelming amount of work, but realistically your workload is only likely to increase. When you’re juggling many tasks, you’ll need to be able to jump from issue to issue seamlessly. Practice managing and budgeting your time now. Use this time to think about your own approach to research, analysis, and writing. Don’t wait! Visit your professor’s or TA’s office hours today. As a new librarian, I am still settling into my role as the go-to person for answering all kinds of legal research questions from all kinds of patrons, from students and faculty to the general public. One research question that rates high on my list of “Dreadful Inquiries” is the ever-popular legislative history research question. So, with a conscious effort to ease that anxiety, I decided to sit in on an Advanced Legal Research class offered by my colleague, Professor A. Hayes Butler. This class was the inspiration for my last post on Administrative Law Research. So what exactly are you looking for when looking for a legislative history? There are several documents involved in a legislative history (cue School House Rock music), and they are: bills -> hearings -> reports -> debates -> public laws -> statutes. For some statutes, compiled legislative histories already exist. This means someone may have already found all of those relevant documents and organized them for you. Sources of compiled federal legislative histories can be found online. Should you not have access to the subscription services, like Westlaw and HeinOnline, that offer compiled legislative histories, you might try the legislative histories offered by the Law Librarians’ Society of Washington, D.C. I can probably fill a whole new blog post with information that I can give you about these sources, but I have no intention of doing that, at least not anytime in the near present (sorry if I got your hopes up). If you need help finding or using any one of these sources, please do not hesitate to see a reference librarian. Congressional Quarterly, which publishes articles on congressional actions. I strongly encourage all students to take this class with Professor Butler. This class is an excellent fit for students interested in many areas of practice, both litigation and transactional. I guarantee that, even if you already know a little something about legislative and administrative research, you will still benefit from learning more, especially when you need to research for your other classes and work on real-world projects after you graduate. Shameless endorsement: Professor Butler is not just a wonderful professor, but he is an educator sincerely interested in sharing valuable information with budding legal minds. If you have the means and opportunity to take any advanced legal research class with him, you will come out of it as a much stronger researcher. Legislative History: The Philosophies of Justices Scalia and Breyer and the Use of Legislative History by the Wisconsin State Courts, by Kenneth R. Dortzbach. Federal Legislative History Research, Timeline. 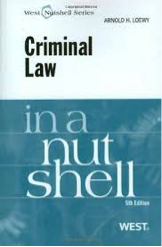 Available from the Tarlton Law Library at the University of Texas School of Law. Available at http://tarltonguides.law.utexas.edu/content.php?pid=104708&sid=2797763. This chart came from the GSU Law Library Introduction to Legal Research guide. It is no surprise that many second- and third- (and sometimes even fourth- and fifth-) year law students cannot explain the difference between a regulation and a statute; it’s not exactly a hot-topic in the first-year curriculum. This gap in knowledge leads to a lot of uncertainty in the area of administrative law research. Legislation. A statute (passed by the legislative branch) creates an administrative agency; this statute should also state the purpose, mission, and jurisdiction of this agency. Regulations. Agencies act on behalf of some public interest or need, and may issue both regulations and decisions, offering further guidance in that area of law where a regulation remains open to interpretation or has been violated by some action, respectively. Administrative Law. Much like statutes produced through legislative activities, these regulations define, prohibit, or require specified activities. These regulations tend to be very detailed in order to “fill in gaps” left open by broad legal framework of the authorizing statute. Federal Register. This is a daily publication of proposed rules, final rules, and public notices from federal agencies, published in chronological order. The final rule sets the effective date of that regulation. The table of contents of each publication offers a list of agencies that have new rules (regulations). Each rule and notice is accompanied by contact information for an expert on that regulation within the promulgating agency. The body of the Order is the legislative history. Code of Federal Regulations (CFR). This is an annual publication of all Federal regulations, arranged by subject! There are currently 50 titles of the CFR, each representing a broad topical area for regulation, arranged by agency! Annual new volumes of the CFR only contain regulations that were in effect on its publication date. The Government Printing Office (GPO) updates a specific range of CFR titles each quarter, as opposed to updating all 50 titles all at once. The updating schedule can be found from GPO website. What about agency decisions? In addition to regulation-making authority, some agencies have the authority to interpret their regulations by issuing opinions (judgments) arising from alleged violations of the regulations. These opinions may be found in agency-published reporters, subject-specific loose-leaf or online services, like BNA, or in subscription databases, like Westlaw and Lexis. One last bit of useful information: If you’re not sure what federal agency is responsible for a given industry or area of law, check out the U.S. Government Manual (a print copy is available at the reference desk). This publication contains a listing of every federal agency, including its functions and its mission. Another useful source is USA.gov or the agency website, itself! Our law library has a list of some select agencies with links directly to their homepages. One of my colleagues here at the law library, Prof. A. Hays Butler , teaches an advanced legal research course on administrative law and legislative history; I had the great privilege of being able to sit in on this class earlier this semester. I’d love to tell you more about this class, so stay tuned for the legislative history blog post! Georgetown Law Library, Administrative Law Research Tutorial, part 2. Georgia State University College of Law Library. Introduction to Legal Research Guide. 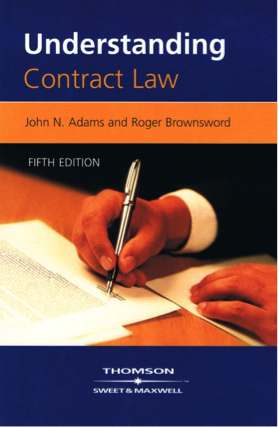 Available from http://libguides.law.gsu.edu/content.php?pid=154797. Professor Butler, a reference librarian on the law school library staff, will offer a new one credit course in international law research in the spring term. This course is specifically designed for students taking courses in international and foreign and comparative law at the school, participating in the Jessup International Moot Court and International Commercial Arbitration Moot Court Competitions, as well students writing articles on international law topics for the law school’s law journals. The course would also be of interest to any students interested in international law practice. The class will introduce students to concepts and skills used in international and foreign legal research. Students will learn basic concepts of legal research, research strategies, evaluation of materials in various formats, and search techniques for effective use of electronic sources. Both primary and secondary materials will be considered in various formats. Topics include public international law, foreign and comparative law, private international law, the European Union, the United Nations, and other international organizations. In addition, the course will explore resources and research strategies for international human rights, international environmental law, international trade and arbitration, and family law as an international topic. Techniques for locating bilateral and multilateral treaties and customary international law will be explored in detail. The documentation of international organizations, chiefly the United Nations and European Union, and research strategies for locating such documents, will be considered. Each class will include exercises that will allow the students to use and evaluate the various sources being considered in the class. Grading will be bases on a final research guide on an international law topic or an international organization. Written by A. Hays Butler.